It was a sunny day when the new Thai cabinet gathered in front of Government House for a group photo. 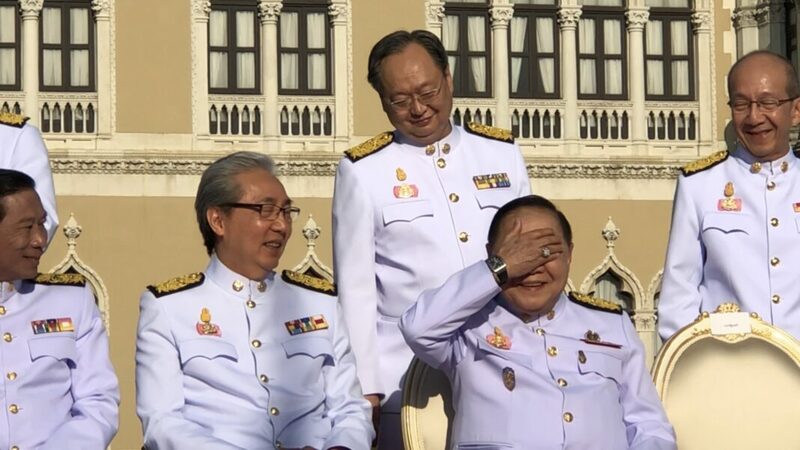 General Prawit Wongsuwan, deputy prime minister, could feel the sun’s glare in his eyes. He raised his hands up to block the sunlight. Little did he know that this moment would cause a controversy that still has not stopped dogging him. By raising his hands in front of the camera, Prawit had inadvertently shown to the world his Richard Mille watch, a timepiece with a price tag of at least 4 million to 10 million baht. The 72-year old general had served in the military and in government all his life and never participated in the private sector; everyone in the country knows the measly salary doled out to Thai officialdom. How on earth could Prawit afford such luxurious watches? Matters went from bad to worse as it was discovered that the watch was not among his assets declared when he assumed the post of deputy prime minister. The general refused to take questions, with a declaration that was blatantly non-transparent: “I won’t answer. I will answer to the NACC [National Anti-Corruption Commission]. I don’t know why I should answer to you people”. Later, local media reported that Prawit will explain that the watch was borrowed from a businessman friend. Yet in the weeks that followed, Thai netizens have poured over photos of Prawit from previous years, revealing fourteen (and counting!) more luxury watches. Was Prawit such a prolific borrower of timepieces? If the prime minister really wants the public to believe that statement, he should start by getting his own deputy to explain himself. It would be wrong to accuse General Prawit of corruption without actual evidence, but if he is truly innocent, then why does he refuse to tell the media how he has obtained his watches? If Prayut is serious about combating corruption, why does he not ask that Prawit come clean, to prove that his government is not being hypocritical about its graftbusting efforts? Thai military culture, with its tradition of “respecting elders”, may explain this unfortunate situation; Prawit, after all, was once Prayut’s “big brother” from their days in the army. The prime minister may feel that he must be loyal to his onetime senior. It is imperative, however, that Prayut recognises that ultimately, he is responsible not to his deputy but to the Thai people. Yes, the Prayut government is an unelected military regime, but he has also enjoyed real support from at least some portions of Thai society. As we enter the fourth year of military rule, that support is fading fast; even the senior statesman General Prem Tinsulanonda has warned the prime minister before the new year that his support had been sapped, “with almost none remaining”. A strong first step to regaining his support would be to show that his government can set an example on graftbusting. It’s time for Prayut to put some substance to his words. 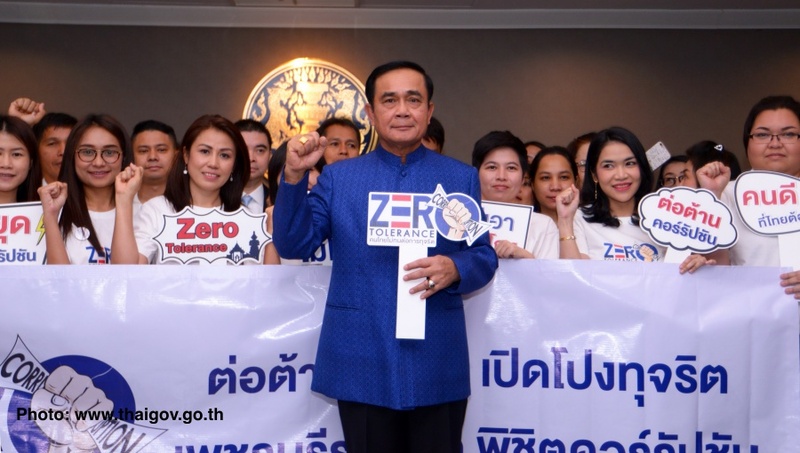 In his final year in office, Prayut would do well to truly adhere to his policy of ‘zero tolerance’ for corruption and to investigate any officials suspected of wrongdoing. And this graftbusting effort should start at the top: with the generals that came to power with the prime minister.